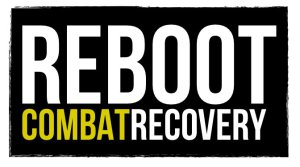 Camp Iron Mountain was part of the Desert Training Center used early in WW2 to prepare troops for combat in North Africa. There are two remaining outdoor chapels, this one is the “Eastern” or Protestant Chapel. The Catholic outdoor chapel at Camp Iron Mountain. 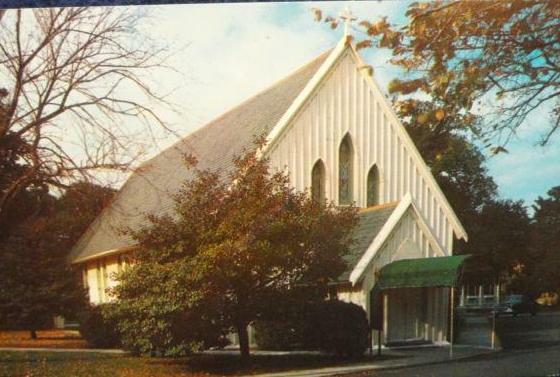 The Catholic outdoor chapel at Camp Iron Mountain as it appears today. Camp McCoy, WI Post Chapel. 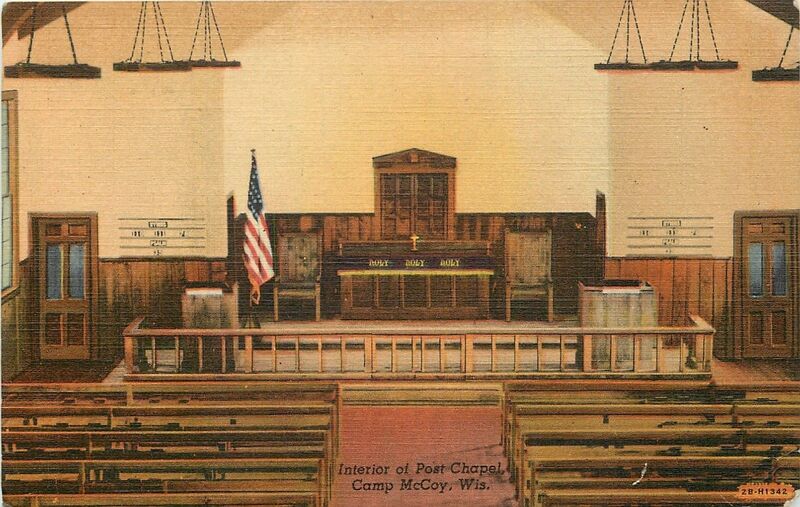 Interior of of cantonment chapel from postcard, 1943 (author’s collection). 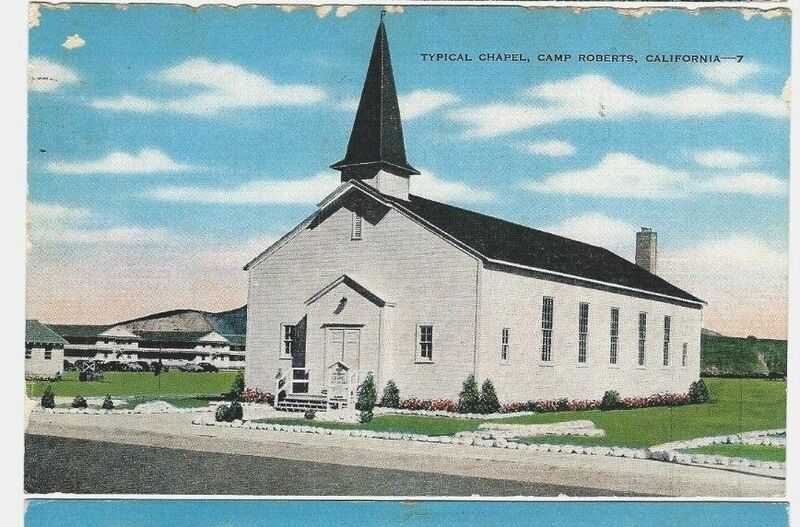 Chapel at Camp Roberts, California which during WW2 was the largest Army replacement training center. 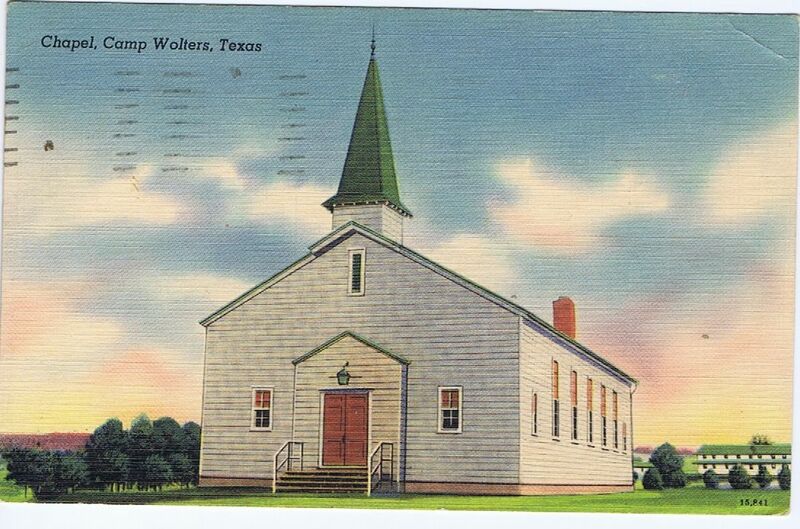 Traditional type chapel at Camp Wolters, Texas, 1943. “A CHURCH OF THEIR OWN. Detroit, Mich.: G.I.’s of the 18th Anti-Aircraft Artillery Battalion hear their chaplain, Captain Herbert E. Saxman, as services are held in their very own chapel. 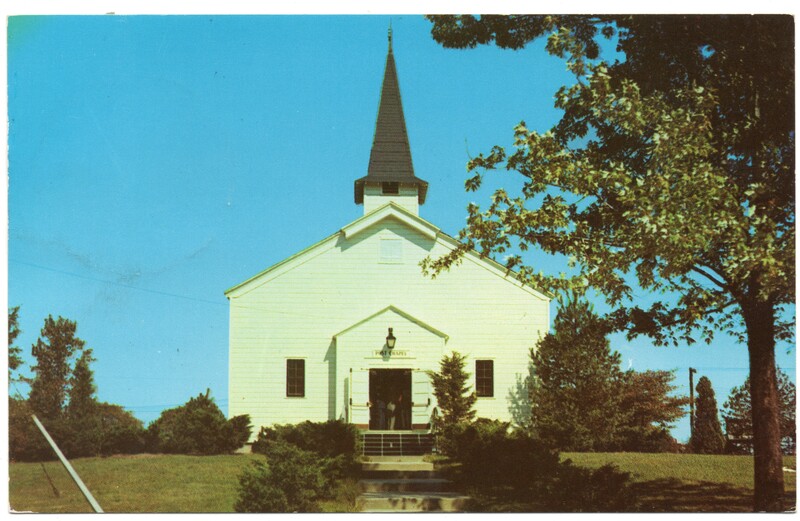 The soldiers built their wooden church after lumber and other materials were donated to them…11-23-55” (author’s collection). Fitzsimons General Hospital (later Fitzsimons Army Hospital) Post Chapel. 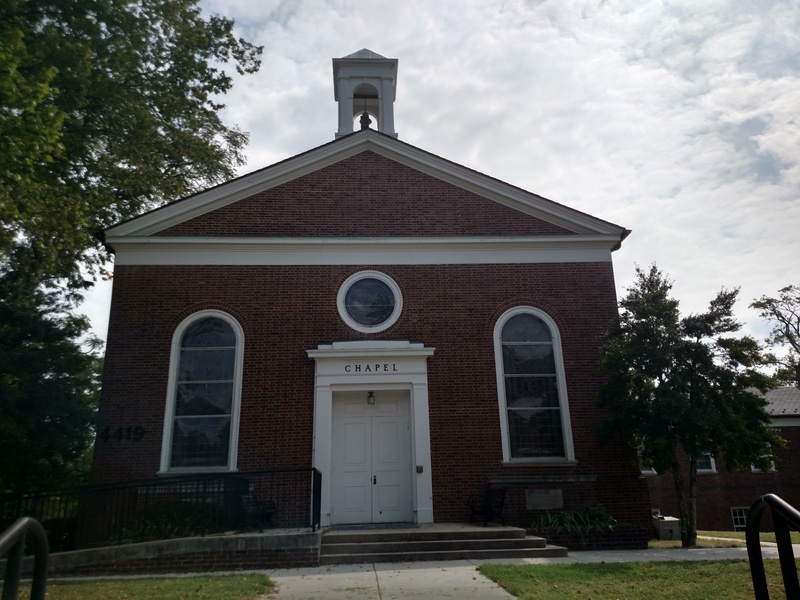 Built in 1942, the chapel was part of a push by first lady Eleanor Roosevelt to include worship facilities in Military posts. Mamie Eisenhower sent the chapel an organ after President Eisenhower suffered a heart attack and recuperated at Fitzsimons for seven weeks. The Post Chapel has unique stained glass windows and New England style architecture. Countless soldiers were married in the chapel and their children were later baptized there. Funerals were even more common in the chapel. 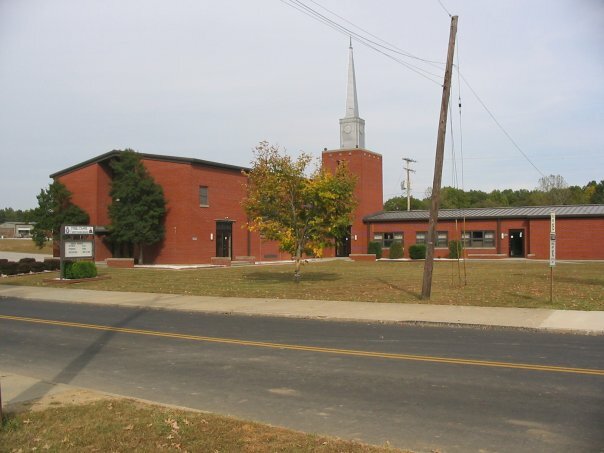 The last worship service was held in June 1996. Chapel at Fort Baker. The military moved into the area in the mid 19th century and is currently part of the National Park system in California. Interior of Fort Baker chapel. Fort Belvoir, Virginia. Sergeant George Camblair paying the chaplain a visit (Library of Congress). 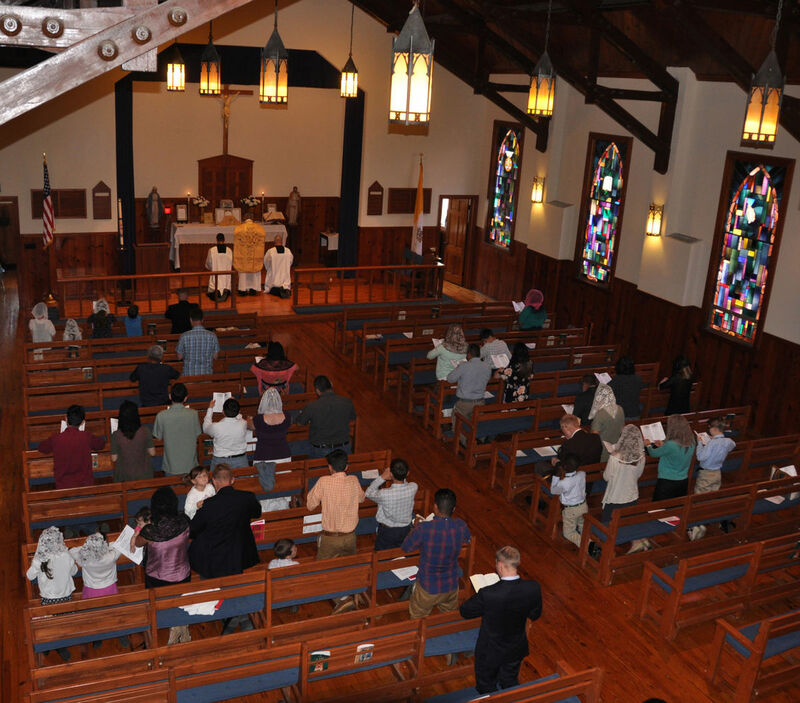 Fairfax Chapel, one of hundreds of Cantonment Chapels built on U.S. bases during WW2, is still in use on Fort Belvoir for weddings and Roman Catholic Mass (photo by the author). 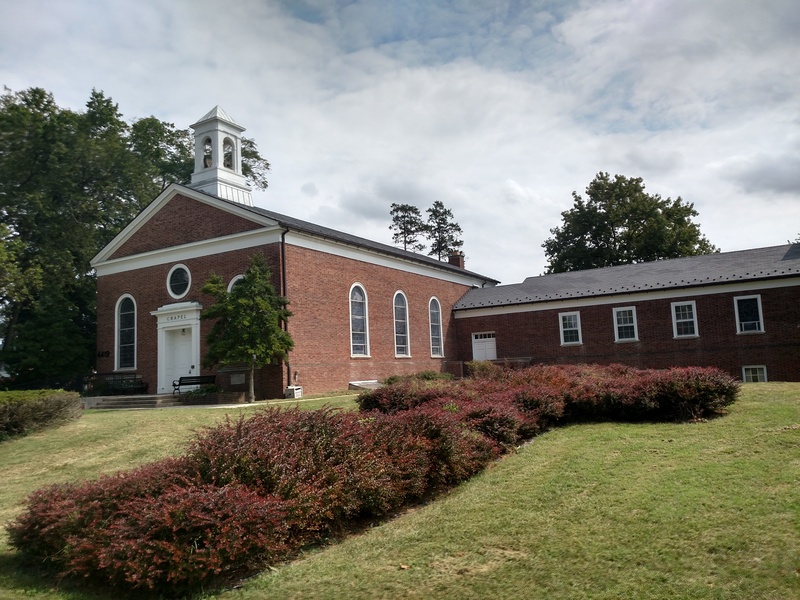 Belvoir Chapel, located in the main area of Fort Belvoir (photo by author). Interior of Belvoir Chapel, set up for the Jewish Service (photo by author). 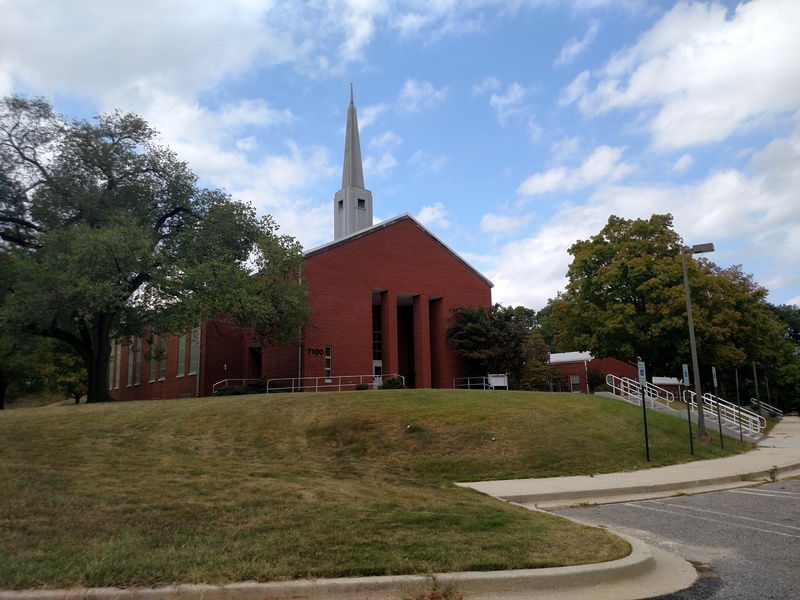 Woodlawn Chapel Center on South Post, Fort Belvoir (photo by author). Post Chapel, Fort Benjamin Harrison. Post card mailed by Soldier stationed there in 1958 (author’s collection). 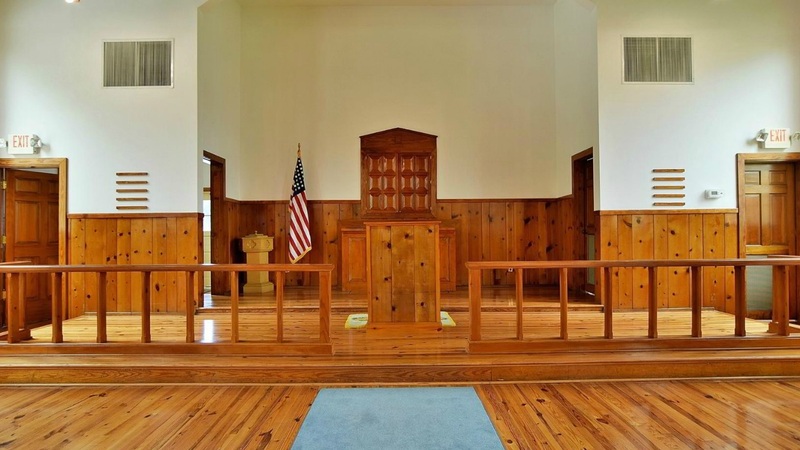 Interior of Post Chapel, Fort Benjamin Harrison. 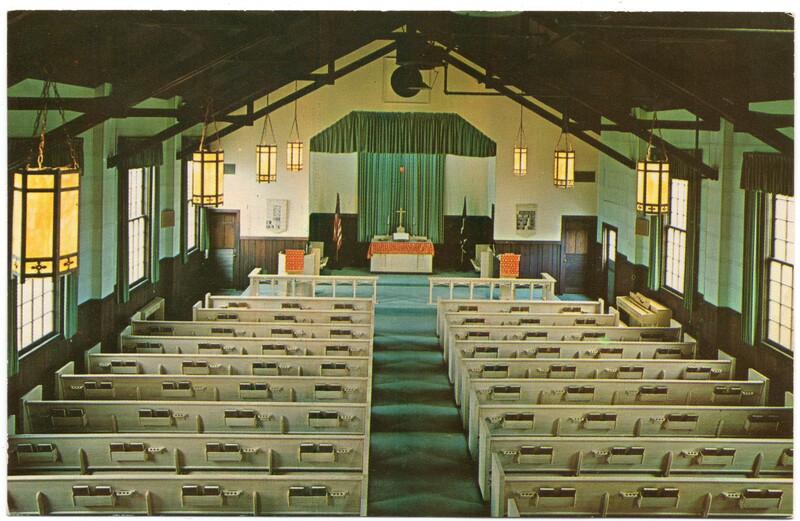 This WW2-era cantonment chapel is shown here with later additions and newer furnishings (author’s collection). Cantonment Chapel at the National Infantry Museum, in the WW2 Company Street exhibit. Interior of the Cantonment Chapel at the National Infantry Museum, in the WW2 Company Street exhibit. Chancel of the Cantonment Chapel at the National Infantry Museum, in the WW2 Company Street exhibit. 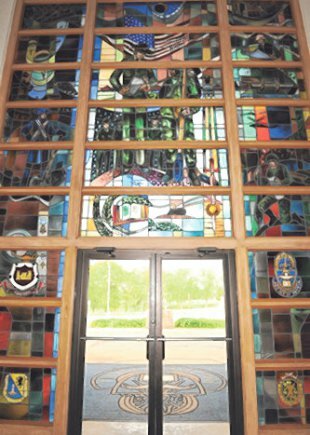 The Troop Command Chapel at the Infantry School at Fort Benning. 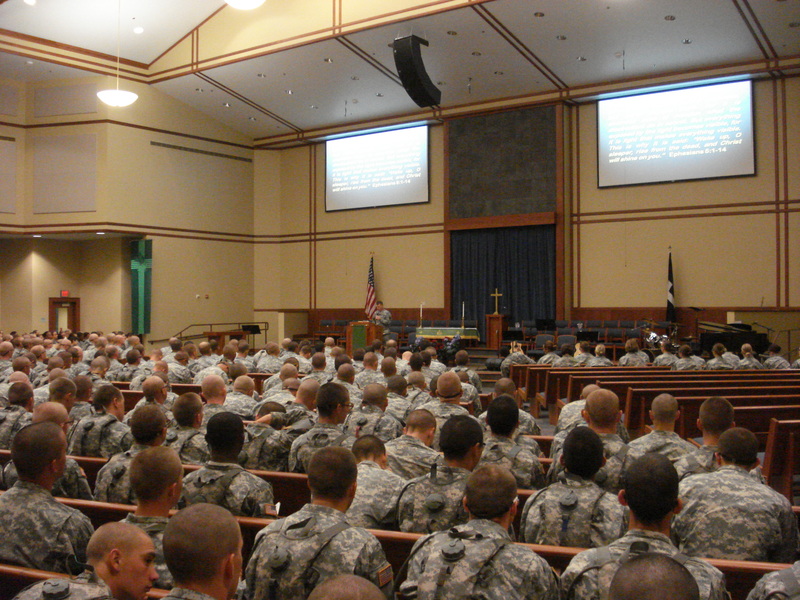 Post Chapel on Fort Campbell, Kentucky (note the similarity with the Fort Benning Chapel). 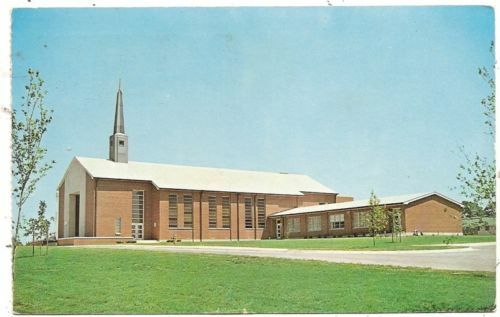 From the back of post card: “This new post chapel is the result of great thought and planning by the War Department to make the soldier’s environment more pleasant while serving at Fort Campbell. The spiritual needs of the military personnel are carefully supervised by highly trained, thoughtful and sincere officers of the Chaplain Corps.” Pre-1947. 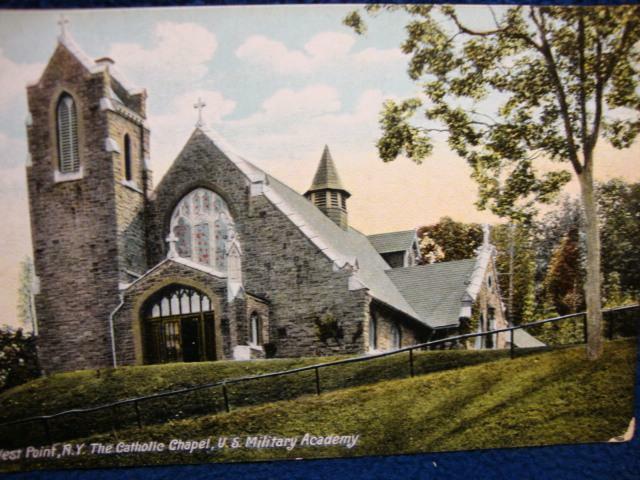 Another post card which labels this chapel also as the Post Chapel at Fort Campbell, Kentucky. 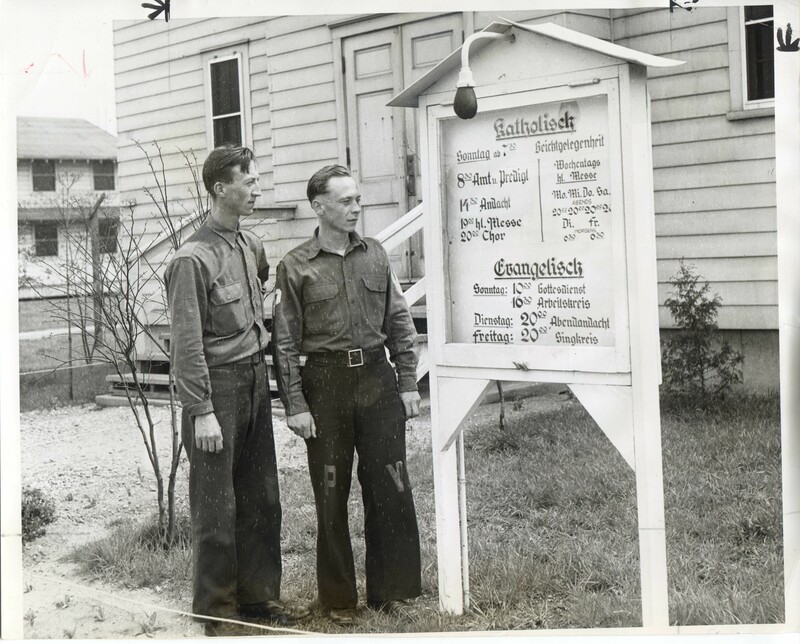 “German Chaplains at Fort Custer POW Camp. Few prisoners go to church , but Catholic and Protestant are included” 10 May 1945 (authors collection). Trinity Chapel at Fort Delaware, built by Confederate POWs outside of post ca 1863 (though pictured 1907 postcard is dated 1861). 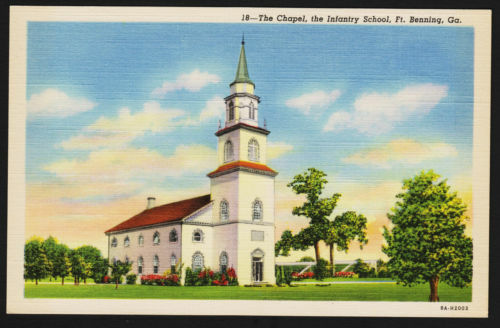 Early post card with the Post Chapel at Fort Devens, Massachusetts. Post Chapel at Fort Devens, Mass. Interior of the Post Chapel at Fort Devens. 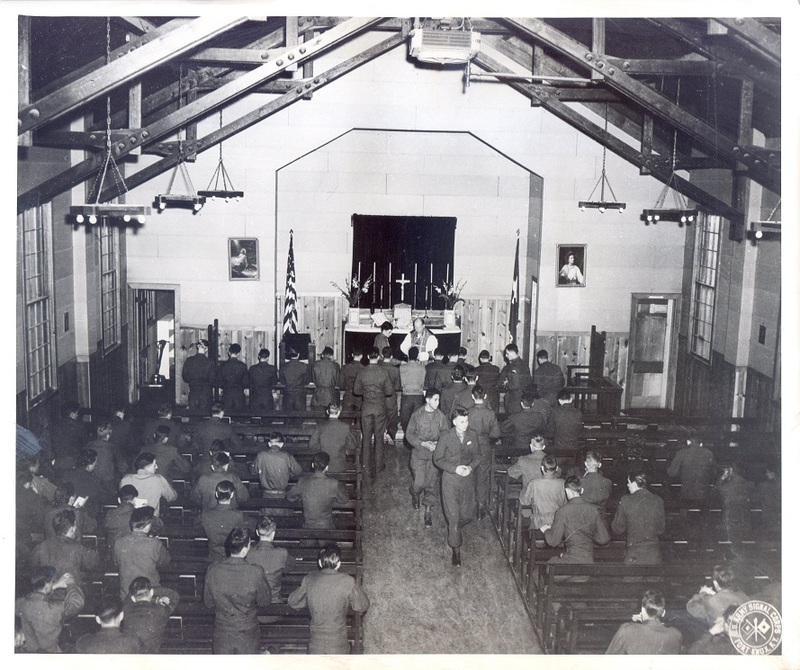 Chapel at the Reception Center at Fort Dix, NJ, 1940s (Photo from Ebay listing). Post Chapel, Fort Douglas, Utah, built in 1884. The fort remained a military post until 1991. It is now part of the University of Utah. 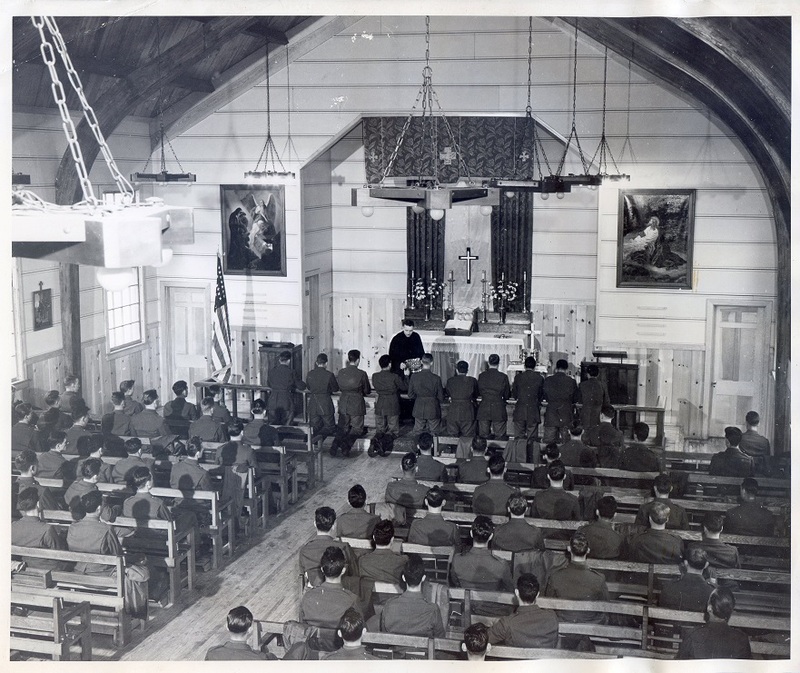 Inside of what was the Main Post Chapel at Fort Eustis, pre-1963 (author’s collection). One of the cantonment chapels at Fort Hood. Postcard ca. WW2 (author’s collection). 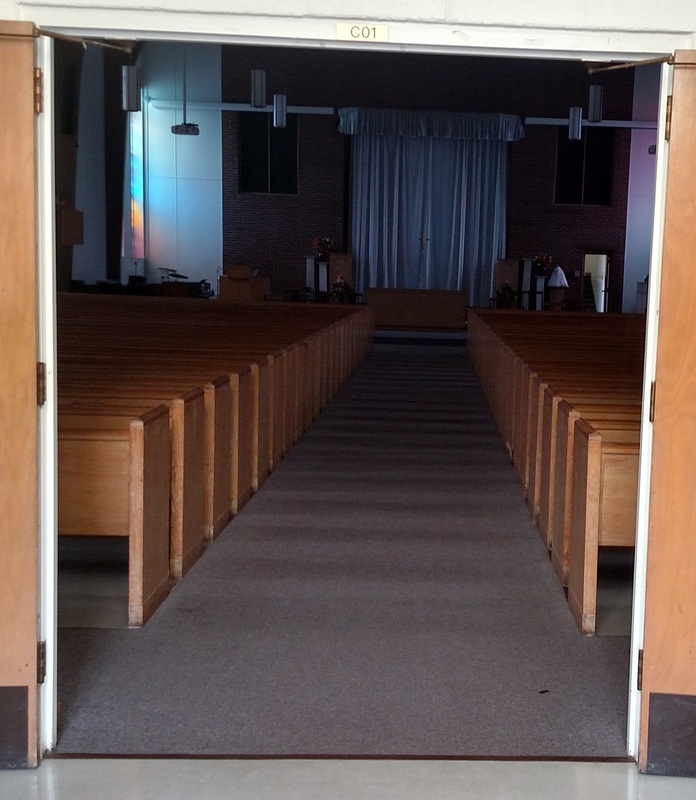 Interior of the Old Post Chapel on Fort Hood (photo by Dave Larsen, Chief, Command Information, Fort Hood). 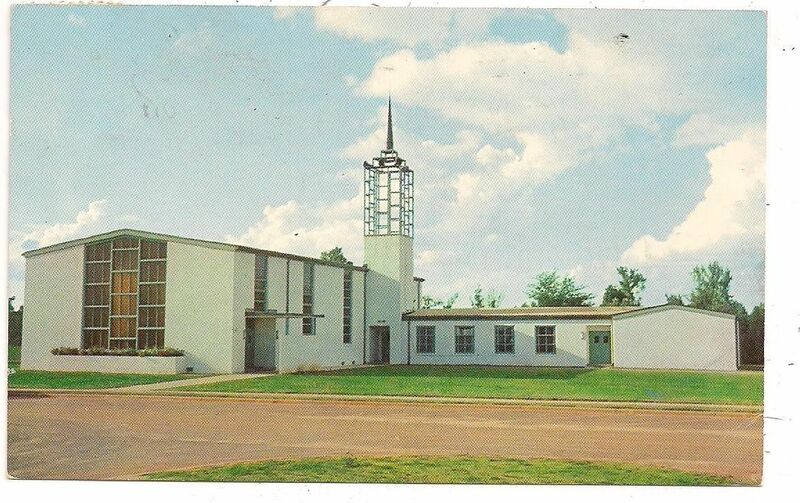 “Main Post Chapel, U.S. Army Electronic Proving Ground, Fort Huachuca, Arizona-Its electronic carillon sounds the Angelus three times daily, and the bells may be heard at 8 p.m. every night and 10:30 Sunday mornings” (from back of postcard). 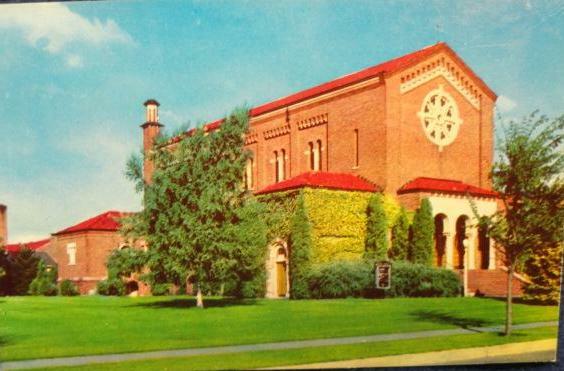 Memorial Chapel (Originally Chapel #1) was built in 1941 (Photo from The State website). 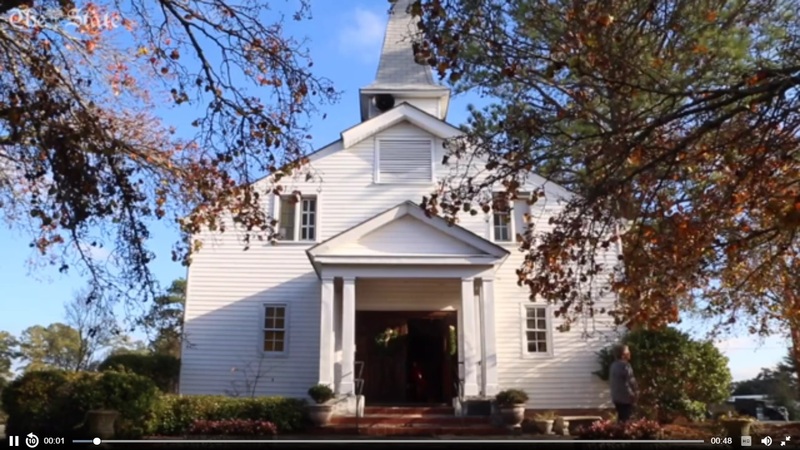 Memorial Chapel (photo from The State website). 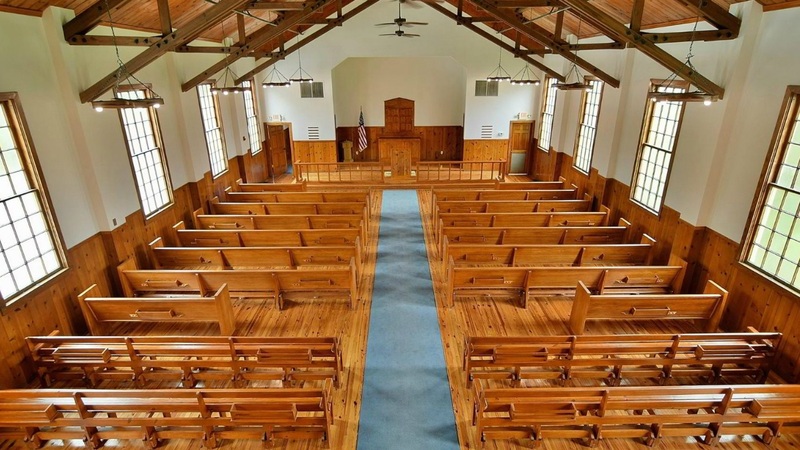 Interior of Memorial Chapel (photo from The State website). The original Chapel of St. Cornelius the Centurion at Fort Jay on Governor’s Island, built in 1847. The Island had passed from the Dutch to the British (and back and forth a few times), then finally to the United States and was used as a military post until 1995. 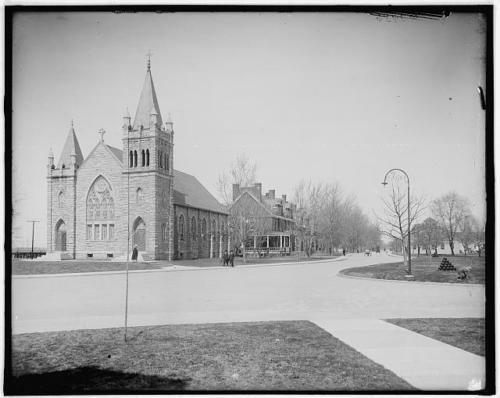 With the old chapel deteriorating, a new chapel was completed in 1906 and took on the name of the old chapel, St. Cornelius the Centurion. Interior of the new Chapel of St. Cornelius the Centurion, completed in 1906. 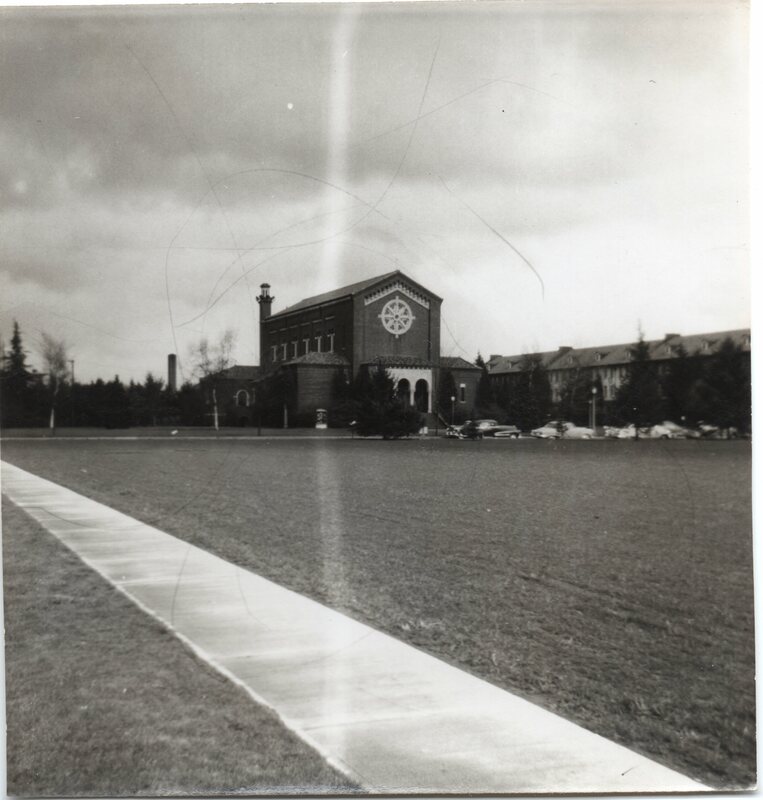 Photo that shows the original chapel with the new chapel behind it. “With the altar re-arranged, the chapel is ready for Protestant services. Here Chaplain E. T. Donahue conducts communion services” (author’s collection). “Chaplain (Capt.) Charles J. Murphey (Roman Catholic) communicates UMT Trainees attending Sunday Mass at the UMT Experimental Unit Chapel, Fort Knox, Kentucky” ca. 1947 (author’s collection). 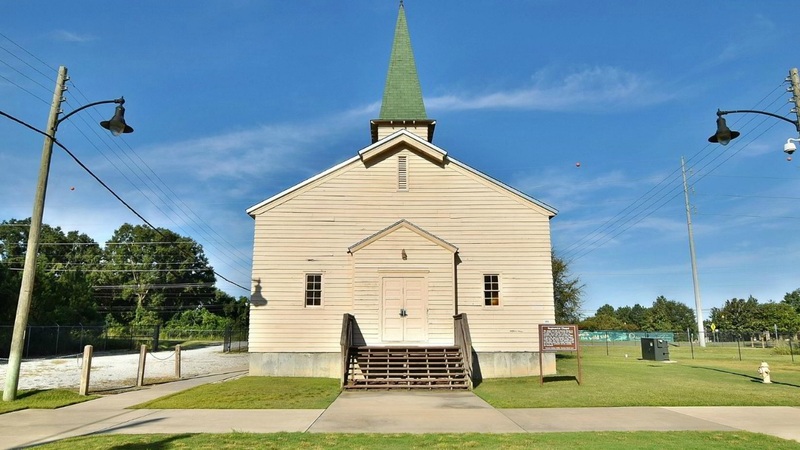 Fort Knox’s Main Post Chapel was built in 1899 and remains the oldest building on post. Chapel on Fort Knox. 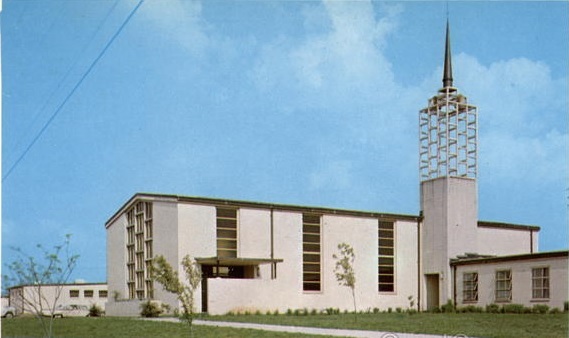 Described on back as “New Modern Chapel,” 1950s. Memorial Chapel, Fort Leavenworth, KS, 2014 (photo: Daryl Densford). 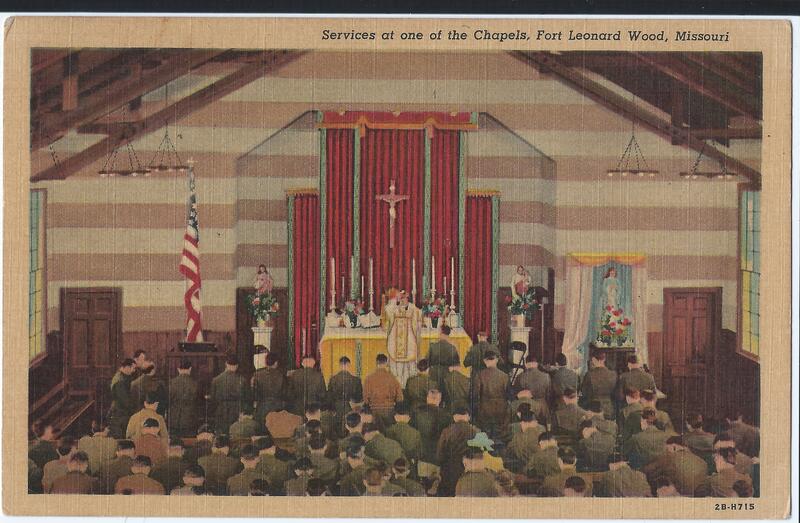 Memorial Chapel at Ft. Leavenworth, 1920s postcard. 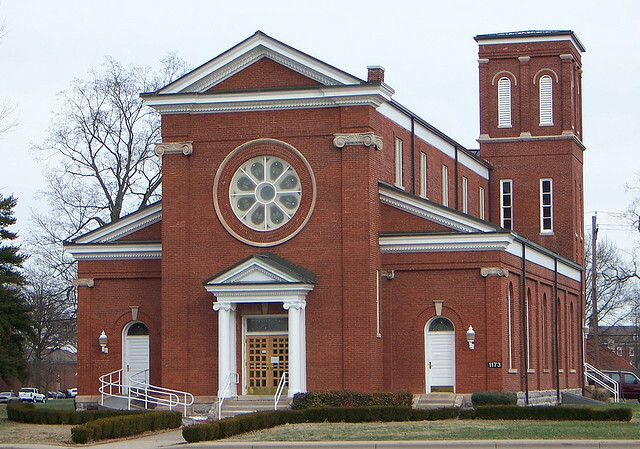 Saint Ignatius Chapel, Fort Leavenworth, Kansas, is one of only two Catholic chapels on government property, still owned by the Roman Catholic Church. The other is at the U.S. Military Academy, West Point, NY. (Postcard from author’s collection). 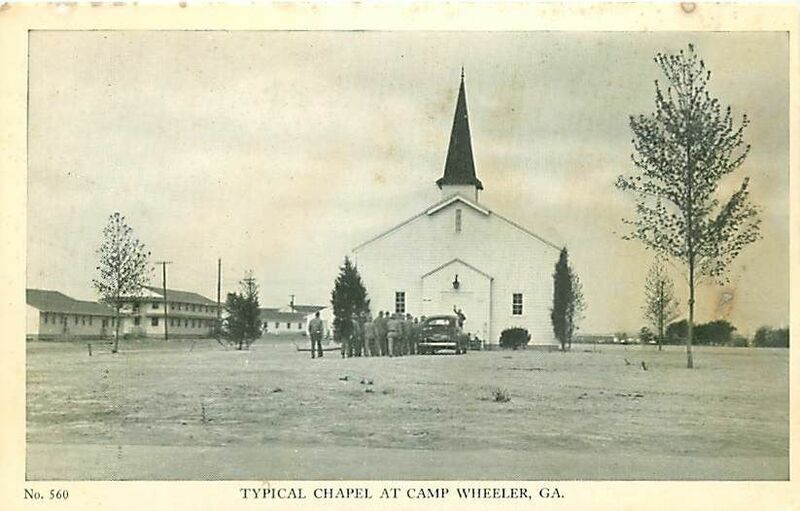 Cantonment Chapel at (then) Camp Lee. 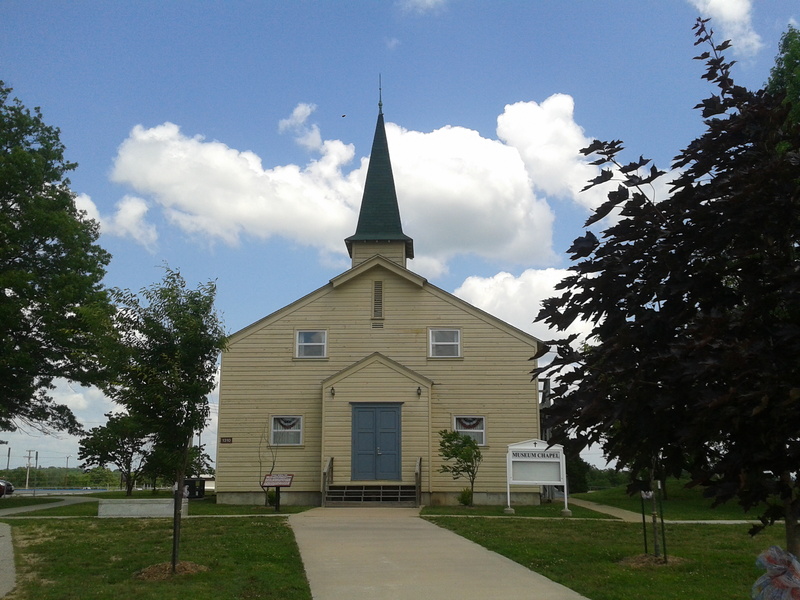 Fort Leonard Wood Main Post Chapel, dedicated in 2011. Fort Leonard Wood Main Post Chapel, dedicated 2011. 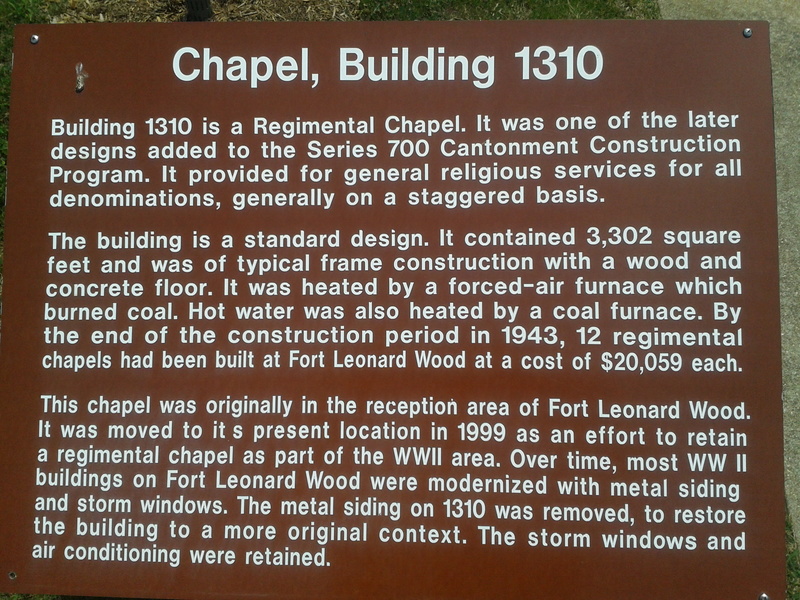 Information about the Cantonment Chapels at Fort Leonard Wood (and many other posts/chapels pictured on this page). 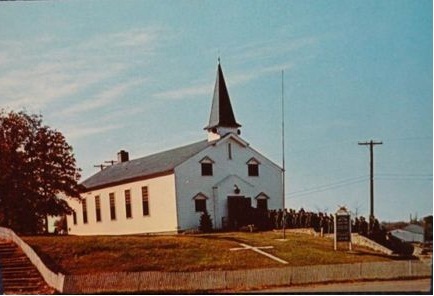 Second Regiment Infantry Chapel on Fort Leonard Wood, 1960s. 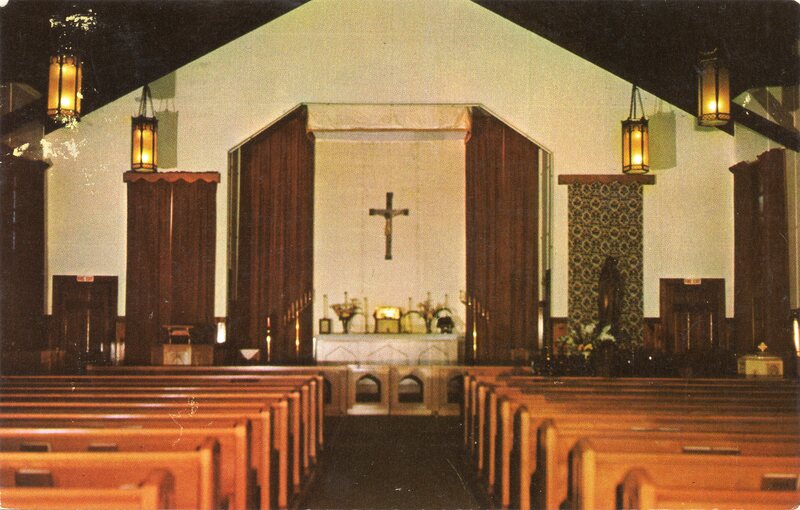 1942 postcard of the inside of Chapel #12 showing a full-house for Catholic Mass (author’s collection). Post Chapel on Fort Leonard Wood, now Soldier Memorial Chapel. Photo pre-1966. 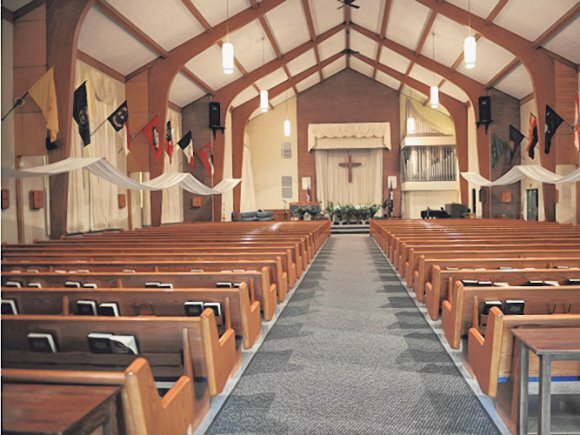 Modern picture of the interior of Soldier Memorial Chapel. 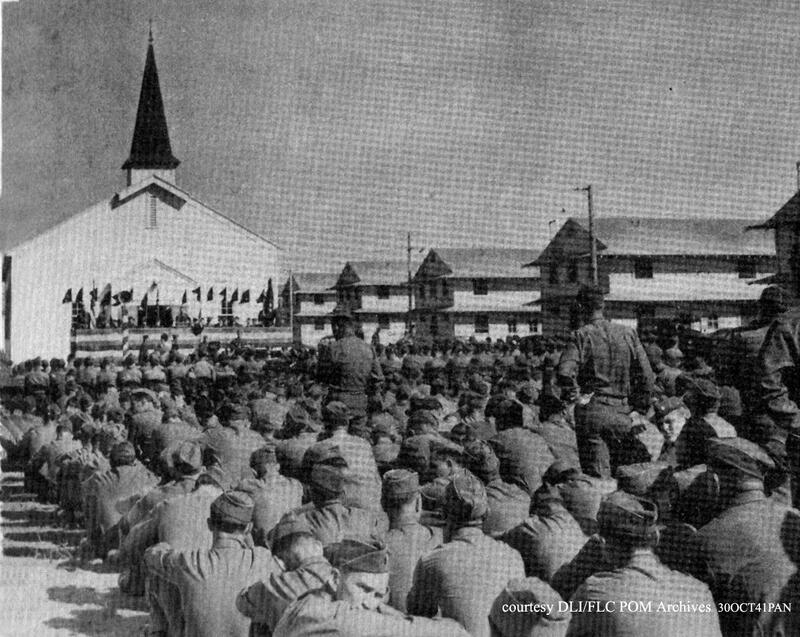 Fort Lewis Main Post Chapel “looking at the chapel across the parade ground” (photo by Corporal Robert Behrens, ca 1950s, author’s collection). 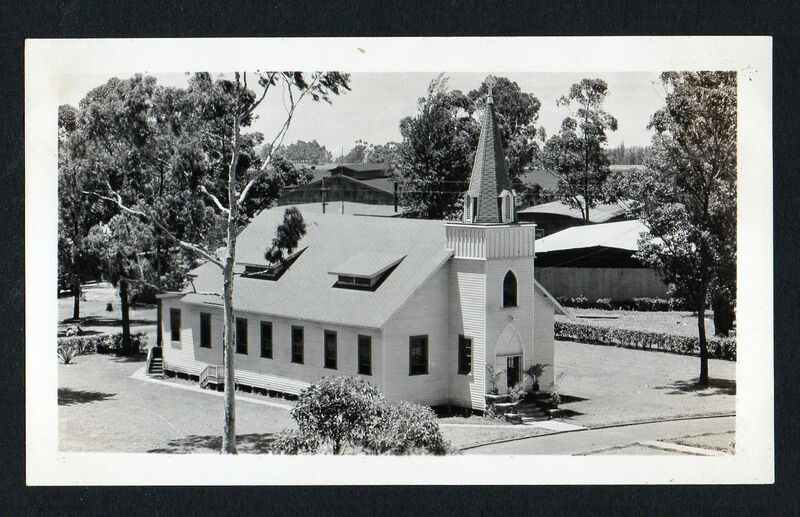 Fort Lewis Main Post Chapel (photo by Corporal Robert Behrens, ca 1950s, author’s collection). 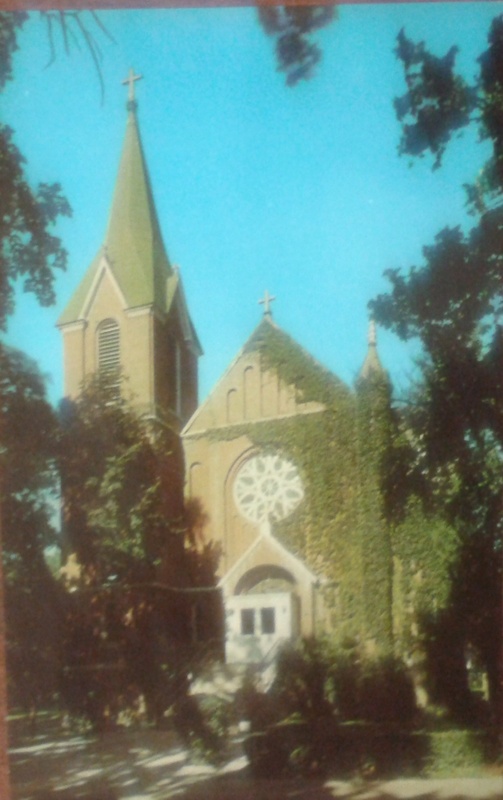 Main Chapel, Fort Lewis, dedicated in 1934, photo from 1960s. Interior of the old Main Post Chapel, Fort Lewis, now Lewis Main Chapel, Joint Base Lewis-McChord (photo from Christmas Eve service, 2015, by Chaplain Jimmy Felihkatubbee Nichols, used with permission). 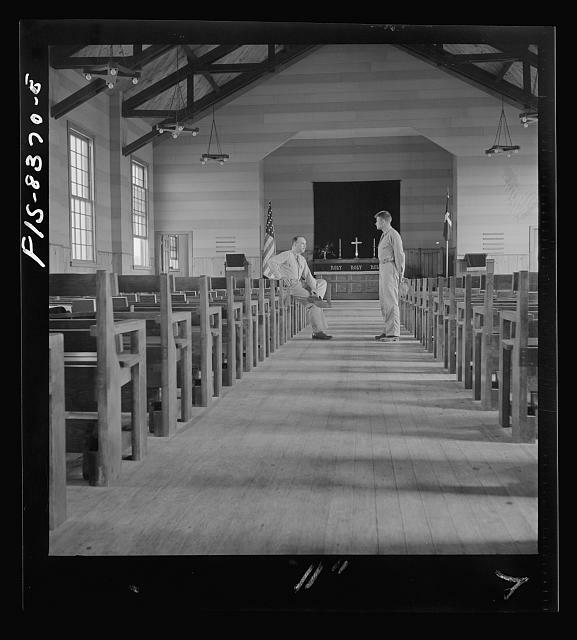 Post Chapel at Fort McClellan, 1941. 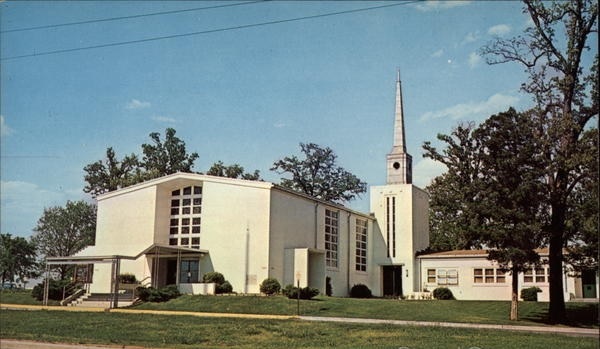 1940s picture of chapel at Ft. Meade. 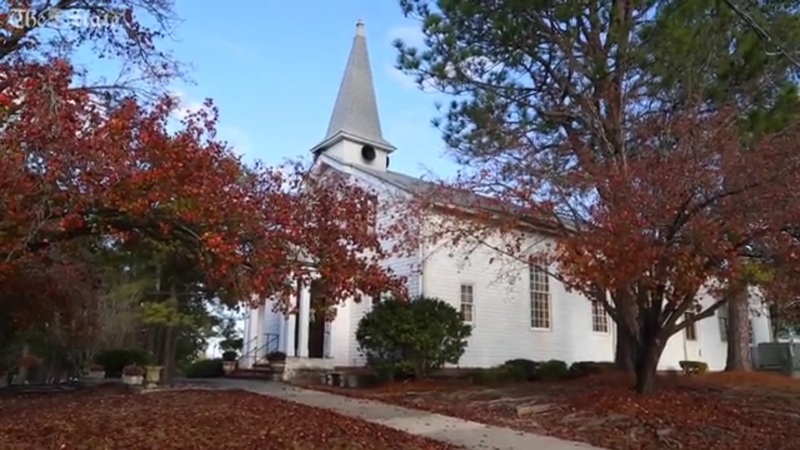 Photo taken of chapel in 2016. Photo of the chapel taken in 2016. 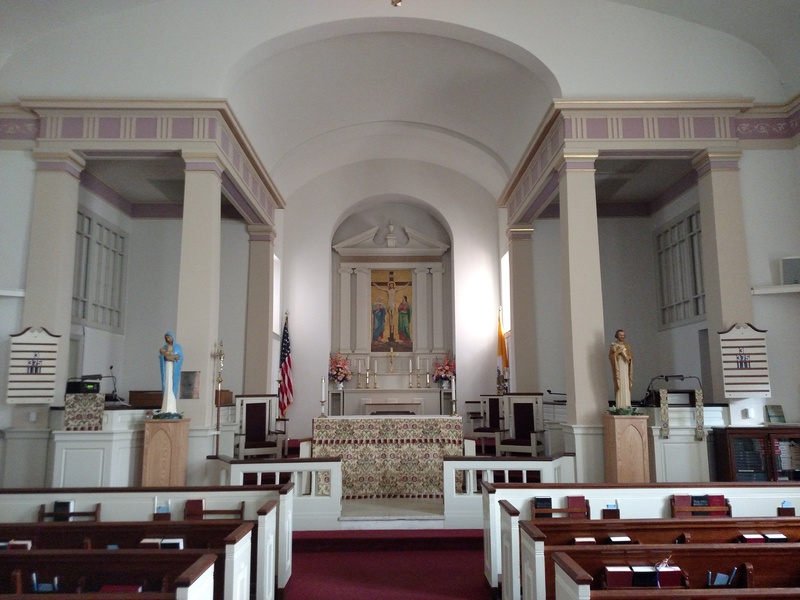 Interior of chapel, taken in 2016. 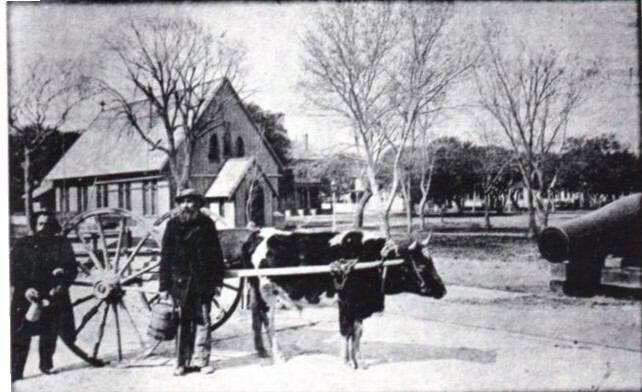 Chapel of the Centurion at Fort Monroe in the 1880s with Oyster Sellers in foreground. 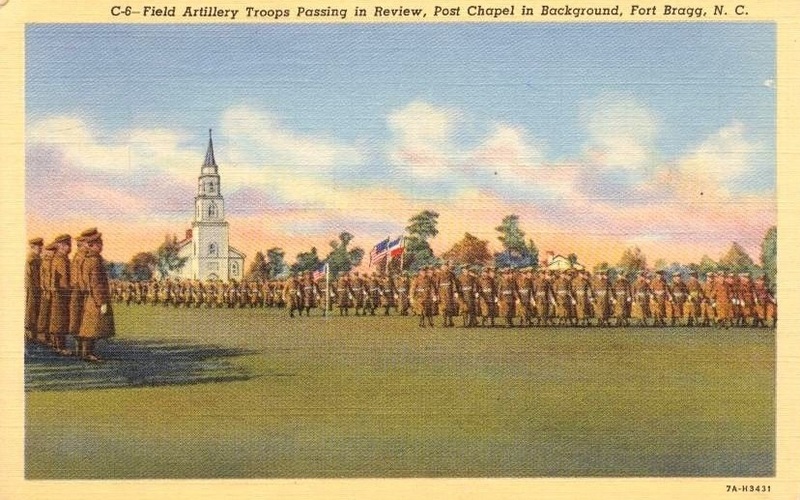 Post Chapel, Fortress Monroe, from a postcard mailed in 1908 (author’s collection). 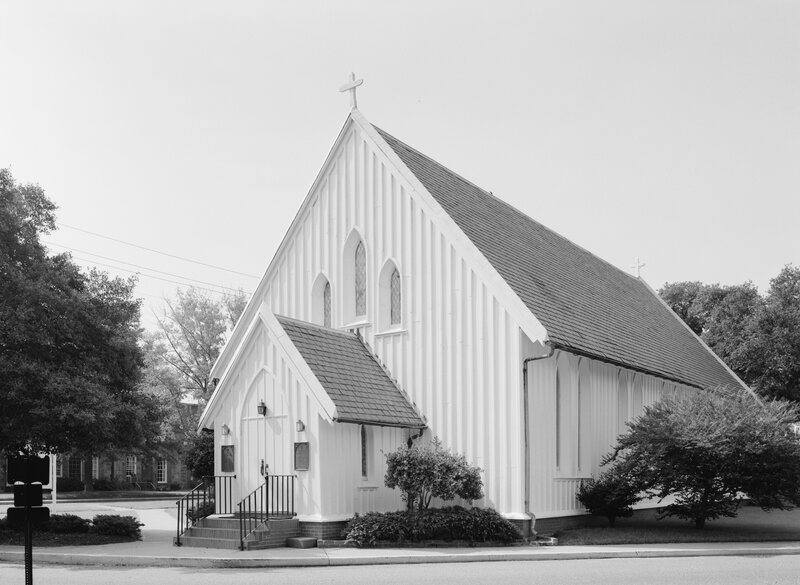 Chapel of the Centurion, Fort Monroe, 1950s. This chapel was consecrated on 3 May 1858. Chapel of the Centurian Fort Monroe, consecrated 1858. 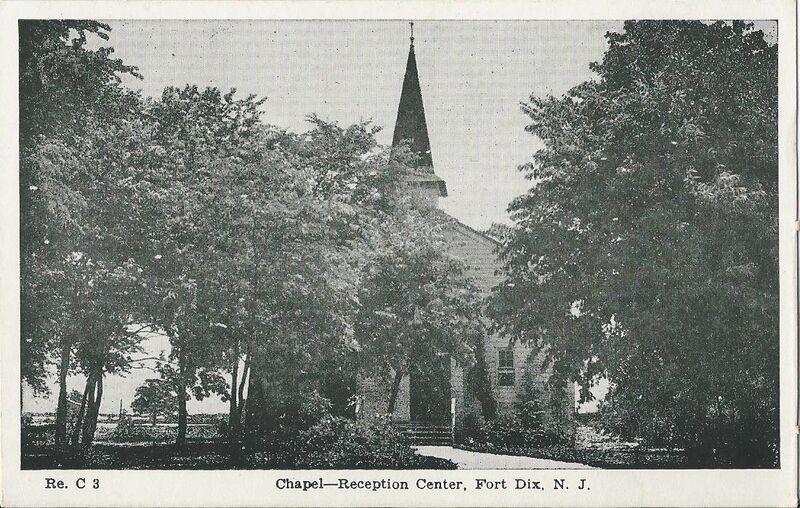 Early photo of chapel, Fort Monroe, VA, built in 1903. St. Mary’s Star of the Sea, Fort Monroe, Virginia, built in 1903. St. Mary’s Star of the Sea, Fort Monroe, Virginia, built in 1903, as it looks today. Memorial Chapel on Fort Myer (photo by author). 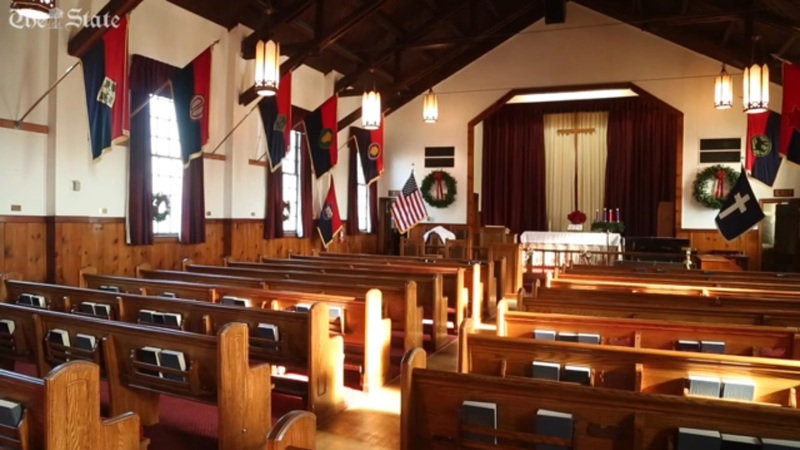 Interior of Memorial Chapel on Fort Myer (photo by author). Aerial view of Memorial Chapel on Ft. Myer with Arlington National Cemetery in the background (from a 1970’s bulletin cover). Fort Randall was established in 1856 on the Missouri River near the Nebraska-South Dakota boarder as a base for operations against the Sioux Indians. 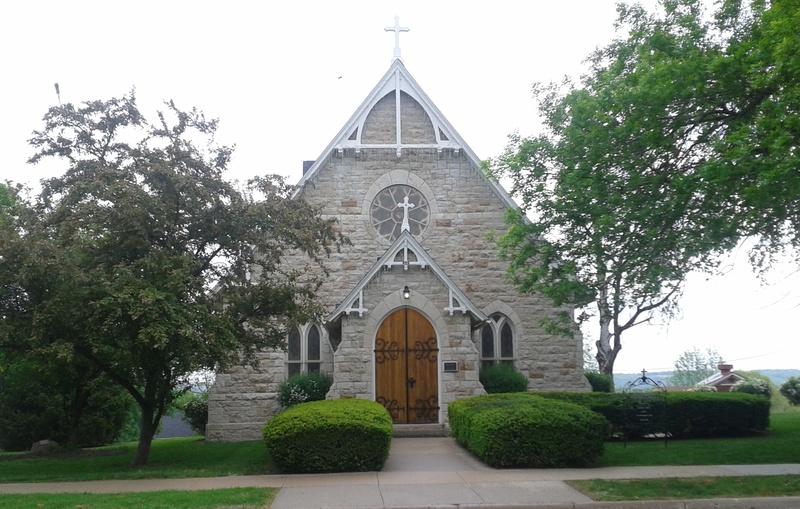 The chapel was built in 1875. The fort was abandoned in 1892 and the chapel fell victim to the elements. In 2003 the Army Corps of Engineers added a stabilizing structure to preserve the remains of the historic chapel. Chapel No. 1, a WW2-era Cantonment Chapel on Ft. Riley, 1988 (photo by Daryl Densford). Normandy Chapel on the hill at Fort Riley, 1988 (photo by Daryl Densford). 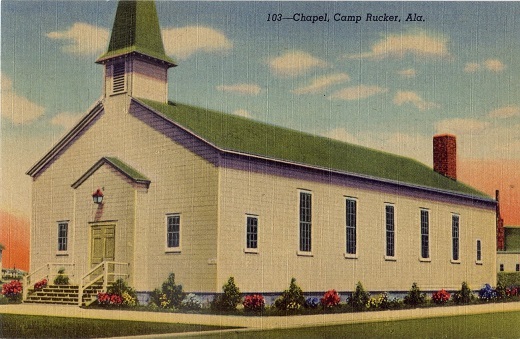 1942 postcard showing a cantonment chapel at what was then Camp Rucker (author’s collection). Post Chapel, Fort Sam Houston, TX. Chapel at Fort Sherman, built in 1880, was part of Fort Sherman, established in 1878 and abandoned in 1900. The chapel was donated in 1984 to the Museum of North Idaho and is currently used for weddings and other small events. Photo taken in 1979. Fort Sill Post Chapel, ca 1896, when the chapel was also used as a school for the children of the post. Old Post Chapel Fort Sill, built 1875-1876. 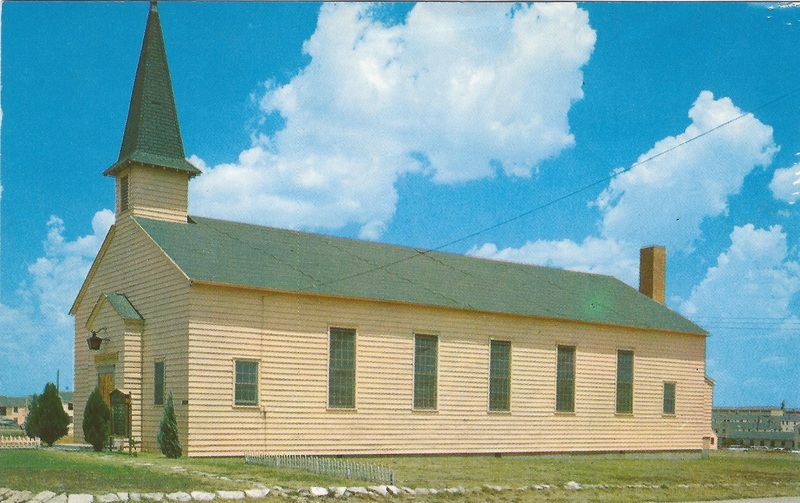 View of rear and side of Old Post Chapel, Fort Sill, built 1875-1876, postcard dated 1942. Modern photo of the Old Post Chapel, Fort Sill, built 1875-1876. 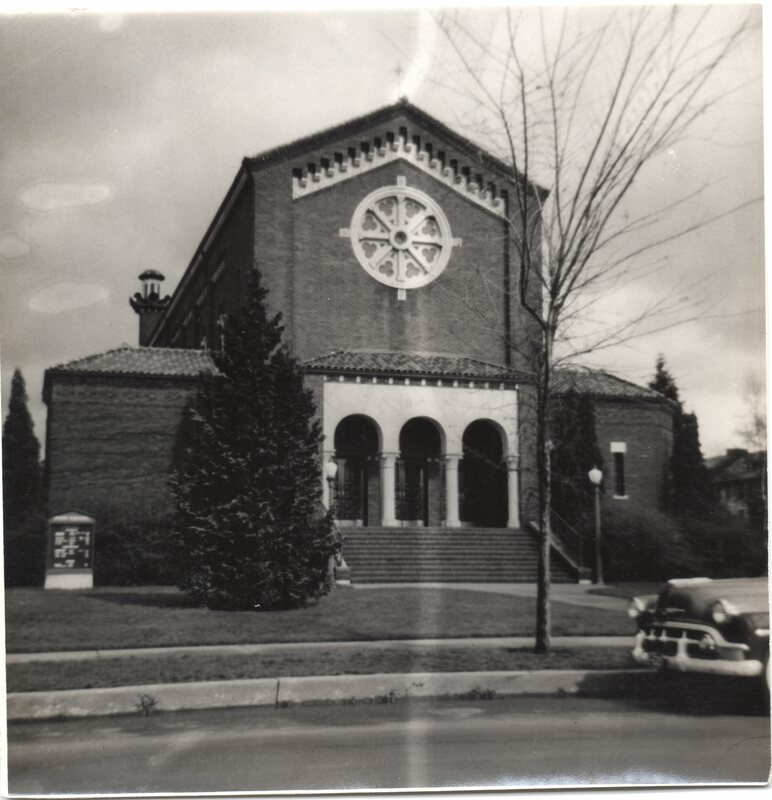 Fort Slocum Post Chapel, or the Chapel of St. Sebastian, built in 1909, picture from 1941. Fort Slocum Post Chapel, or the Chapel of St. Sebastian, built in 1909, picture from 2005. Fort Snelling Memorial Chapel. Built in 1927 and used by the Army until Fort Snelling was deactivated in 1947 (photo by J. Stephen Conn). Interior of Fort Snelling Memorial Chapel, now maintained by the Fort Snelling Memorial Chapel Foundation, who provides non-denominational services for the community and visitors. The chapel at Fort Stanton, built along with several other buildings of local stone in 1855, has survived serious deterioration, and is now part of the Fort Stanton Historic Site. 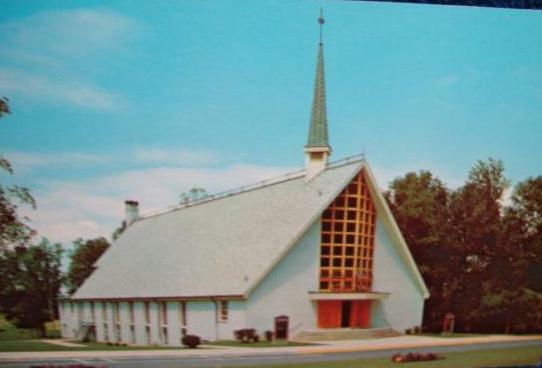 The Chapel of St. Theresa, located on the base Fort Story, VA. Dedicated in 1924. St. Theresa’s closed prior to the outbreak of WW2 but was reopened following the war after being renovated by the Army. The Army moved to Yellowstone in 1886 to help protect the national park. Fort Yellowstone was eventually established and several buildings were added. The chapel was the last structure built by the Army at Fort Yellowstone, in the early 1900’s before finally leaving Fort Yellowstone in 1918. Interior of the remodeled Chapel of Our Lady, built in 1864. The Main Chapel on The Presidio, built in the mid-1930s was used for worship by military personnel until the building was vacated by the Army in 1995. 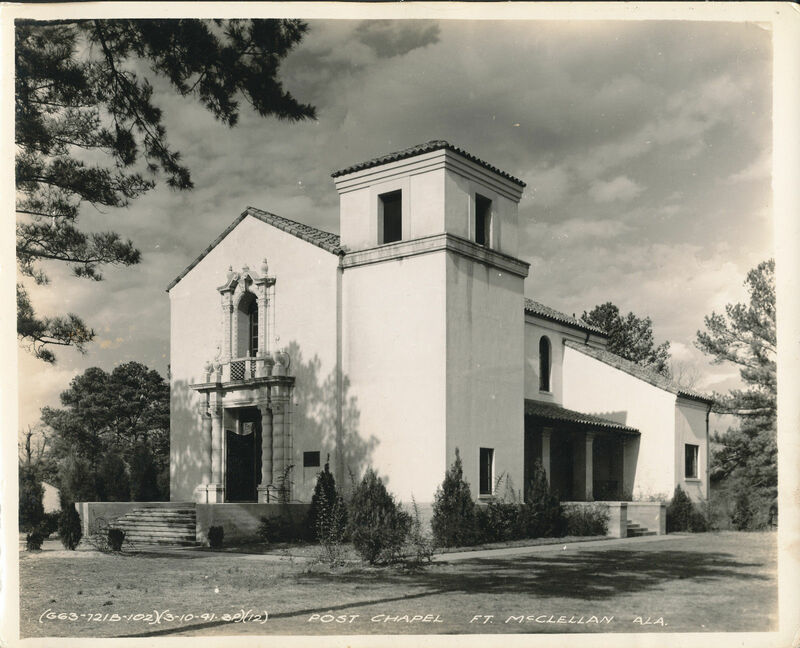 1948 photo of the Main Chapel on The Presidio, built in the mid-’30s. 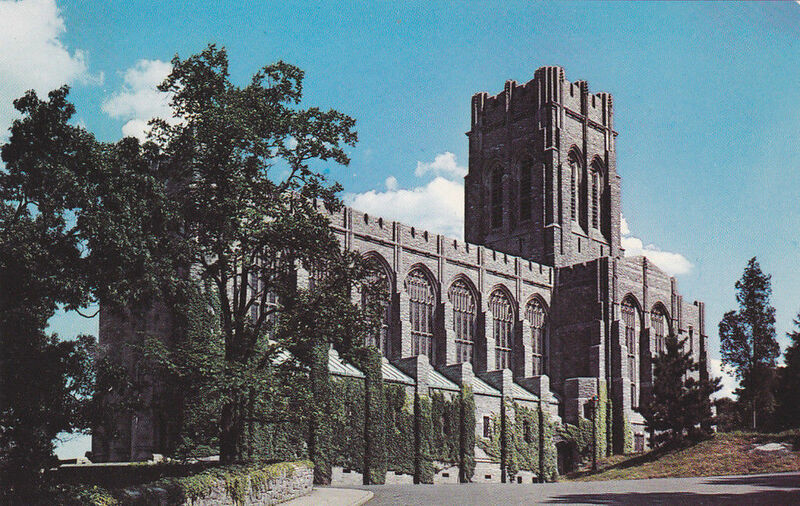 Cadet Chapel at the U.S. Military Academy, 1960s. Catholic Chapel at the U.S. Military Academy, ca 1907. This chapel is one of only two Catholic chapels on government property, still owned by the Roman Catholic Church. The other is at Fort Leavenworth, KS. Old Cadet Chapel at the U.S. Military Academy. Dedicated in 1836, it was moved to its present location in the cemetery in 1910. Interior of the Old Cadet Chapel, ca 1896. Interior of the Old Cadet Chapel, 2010.